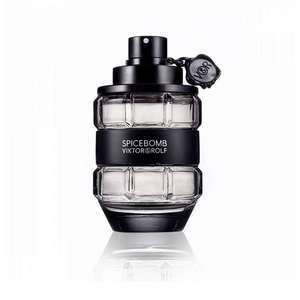 An amazing price for a 50ml bottle plus its free delivery .Spicebomb is an explosive oriental spicy woody fragrance for men launched in 2012. In this fragrance, spices are blended with sensual under notes to create two different fragrant accords. The fiery and addictive accord includes Chili, Saffron, Vetiver, Leather and Tobacco. The icy and explosive accord includes Bergamot, Grapefruit, Elemi and pink Pepper. The top notes of Bergamot, Grapefruit, Elemi and pink Pepper. The middle contains Saffron and Cinnamon and the base includes Vetiver, Tobacco and Leather. The design of its bottle is like a hand grenade which triggers with the logo. superb price. I love it. Where do put the Promo Code? got through checkout to asking for card details cannot see where to put this code? Beware, This seller email you to say its out of stock if you use the voucher.